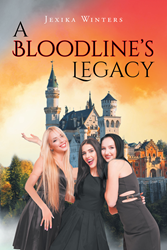 Recent release “A Bloodline's Legacy” from Page Publishing author Jexika Winters is the story of a family who began by ruling, and withstood the downfall of a kingdom so it could be rebuilt, and live on even stronger. Jexika Winters, a talented and creative artist, has completed her new book “A Bloodline's Legacy”: a powerful and clever story of how one ruling family remained steadfast through the fall of a kingdom, and rebuilt an empire to be rivaled. Published by New York City-based Page Publishing, Jexika Winters’s epic tale is about the legacy of a strong royal bloodline. The bloodline stood strong against the ever-changing times they faced. The one kingdom that became four kingdoms then became one once more, then a village and then finally a city. The bloodline withstood it all and continues to strengthen. At present day, Dellamae, Maryellen, and Katerena can trace their family bloodline all the way back to the great king and queen, the first king and queen of then Albian. The great queen prophesized about the coming of the age of the high queen. She is of the bloodline, and she would change the perspective of royalty. The high queen prophesized that she would be the last queen and the kingdom would become a village. Her children would rule with a council and not a crown, and that they did. They also grew and protected their village and whoever else needed their help. Over the generations, the bloodline became the most powerful bloodline. The bloodline would then protect the people of the world. Readers who wish to experience this inspiring work can purchase “A Bloodline's Legacy” at bookstores everywhere, or online at the Apple iTunes store, Kobo, Amazon, Google Play or Barnes and Noble.